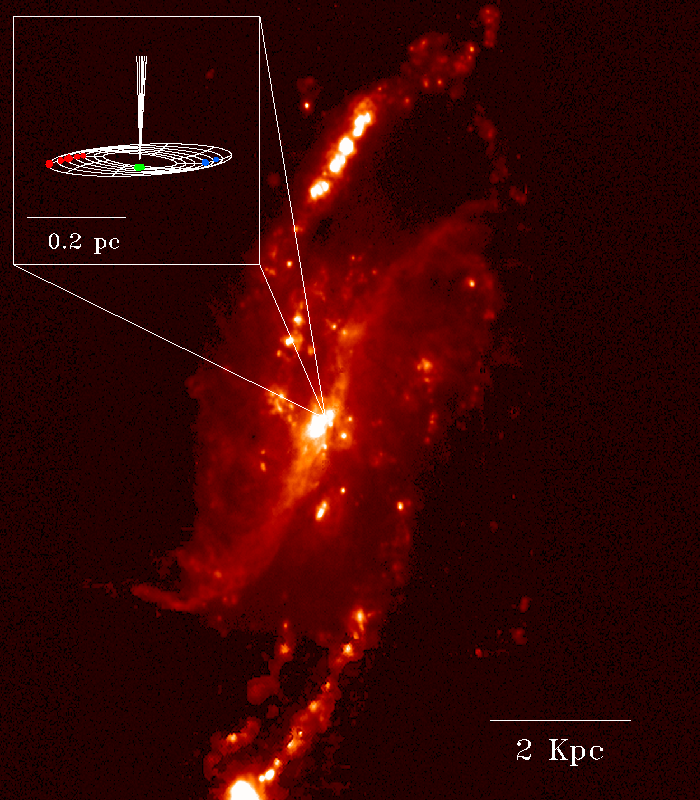 Very Large Array radio telescope image of the rotating central disk, as traced by Masers, superimposed on an optical image. The high rotation velocity indicates that the central object of less than a light year diameter contains some 36 million Solar masses, the highest concentration ever found for a galactic central object (Massive Central Object [MCO], sometimes referred to as Massive Dark Object [MDO]; many scientists believe that the MCOs or MDOs are massive Black Holes). NRAO press release of January 11, 1995, concerning this discovery and photo.